Could organs explanted from other mammals save human lives someday? A new study shows that genetically modified pig hearts developed by US and LMU researchers can survive for more than up to 2½ years when transplanted into baboons. Thousands of people in Germany alone are on waiting lists for transplant operations to replace an ailing vital organ. But the need vastly outstrips the available supply of organs such as heart, liver, lung or kidney. This explains why researchers all over the world have been exploring the possibility of resorting to other mammals as sources of replacement organs. These efforts have, however, been confronted by a succession of apparently insurmountable hurdles. The principal problem arises from the fact that the host’s immune system recognizes the donor organ as foreign and initiates a destructive rejection reaction. Now researchers at the US National Institutes of Health (NIH) in Bethesda report that a pig heart transplanted into a baboon remained functional for 945 days – more than twice as long as the best result achieved prior to this. Using a relatively simple and well tolerated form of immunosuppression, the team was able to effectively delay rejection of the transplant. The findings are reported online in the leading journal “Nature Communications”. Among the authors of the new study are Professor Eckhard Wolf (who holds the Chair of Molecular Animal Breeding and Biotechnology) and his colleague Nikolai Klymiuk at LMU’s Gene Center. Wolf and his team have been developing pig strains specifically for use as sources of organs for xenotransplantation. 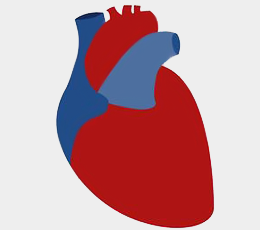 In particular, they have created genetically modified strains whose hearts are less likely to provoke rejection reactions when implanted into other mammalian species. Pigs are regarded as promising sources of organs for transplantation into humans, as their size and overall metabolism is very similar to our own. The pig hearts used in previous studies of this kind carried two different genetic modifications designed to prevent antibody-mediated organ rejection. However, in these cases, delayed rejection was stimulated by clot formation and concomitant injury to the blood vessels of the donor heart. The LMU researchers have meanwhile added a further modification to the donor pig strain, which inhibits the formation of clots when the blood of the primate host comes into contact with the vasculature of the transplanted organ. An interaction between the soluble blood protein thrombin and thrombomodulin on the surface of the endothelial cells that form the vessel wall plays an important role in the control of blood coagulation. Binding of thrombin to thrombomodulin is necessary to activate protein C, which inhibits clot formation. In the context of xenotransplantation, however, activation of protein C is significantly reduced because the form of thrombin found in primates and swine thrombomodulin expressed on the cardiac vasculature are not fully compatible. This increases the likelihood that clots will develop, which in turn promotes rejection of the foreign organ. The new modification introduced by Wolf and Klymiuk enables the endothelial cells of the donor heart to produce the human form of thrombomodulin (hTBM). This reconstitutes the normal interaction with human thrombin, and significantly reduces clot-dependent pathology in the transplanted pig heart. Wolf’s research group is one of those involved in the transregional Collaborative Research Center (CRC) for Xenotransplantation, which is made up of teams based in Dresden, Hannover and Munich, and is funded by the Deutsche Forschungsgemeinschaft. The Spokesperson for the CRC is cardiac surgeon Professor Bruno Reichart of the LMU Medical Center.